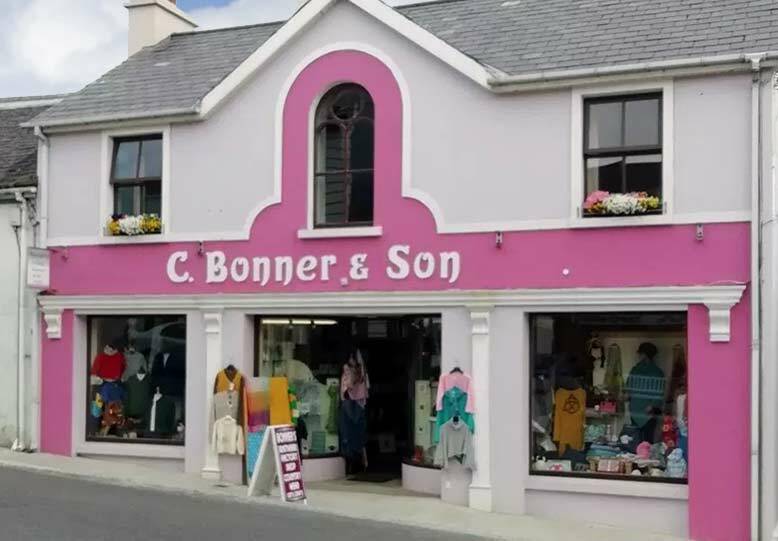 Bonner of Ireland is a family run company established in 1976 by Cornelius and Bernadette Bonner. Employing the best master crafts people in Donegal we produce the highest quality knitwear in traditional and contemporary styles. From our location in the heart of the Donegal Mountains we use the everlasting colours of the rugged landscape to inspire us with colour and design. Our Vision is to supply our customers the finest products & ensuring great customer service in a warm friendly environment. We export worldwide and Tax-Back is available for non EU customers. At Bonners of Ardara we pride ourselves in stocking a wide range of Gifts, Crafts, Jewllery, Country Clothing and a wide range of our own Aran Knits. We have a large range of Knitwear at factory prices, an extensive range of accessories, beautiful wool throws, capes and scarves. Gents tweed caps, Grandfather shirts & Outdoor wear. We have a wide range of Children’s fleeces & accessories. We also have a wide range of Belleek & Mosse Pottery, Crystal & Linen. Call in to see our wide range of gifts and souvenirs.